Hurricane Harvey hit southern Texas on August 25, 2017 as a Category 4 hurricane. With 130 mph winds, heavy rain and a massive storm surge it threatened millions of residents with almost certain property damage. Over 30,000 people fled to temporary emergency shelters and it’s estimated that as many as 10,000 rescue missions were conducted by authorities, first responders and volunteers. Hurricane Harvey ranks as the second most costly hurricane to hit the mainland since 1900, second only to the $160 billion in damage caused by Hurricane Katrina. 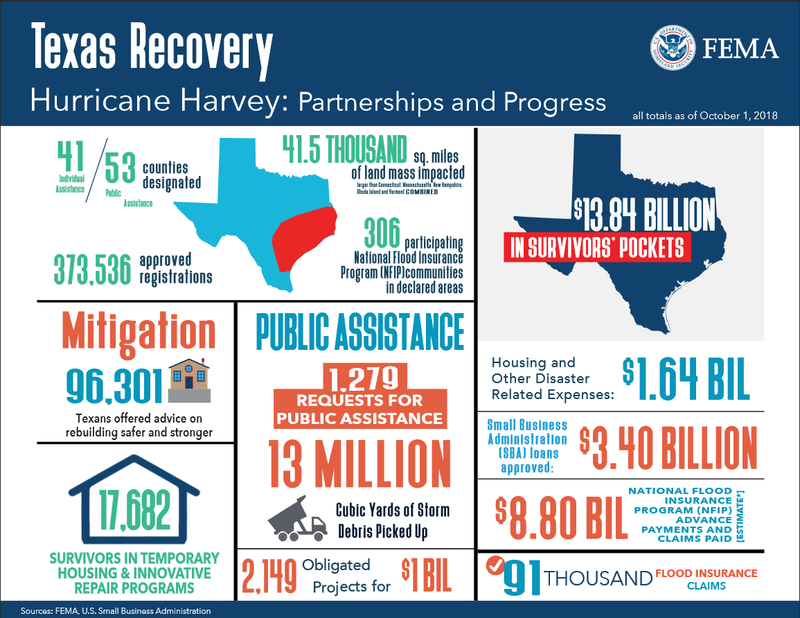 Recovery from Harvey continues as resources were quickly diverted to help with Hurricane Irma in Florida and Hurricane Maria in Puerto Rico.